Expand search to view more listings in and around New Orleans. See more offices in and around New Orleans. Offices.net has New Orleans commercial real estate and office properties for lease with a range of temporary office space currently available for immediate occupation on flexible rental terms without the long-term commitments and high overheads of conventional commercial real estate leases. 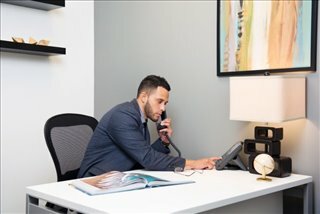 Our well placed office spaces for rent are situated in prime New Orleans, LA business locations and benefit from a wide range of services and amenities. The Greater New Orleans, Louisiana market consists of 19 million square feet of office property space, much of which was developed during the oil boom in the 1980s. The largest sub-market is the CBD, located north of the Mississippi, where many office towers were built between 1960s to 1980s. 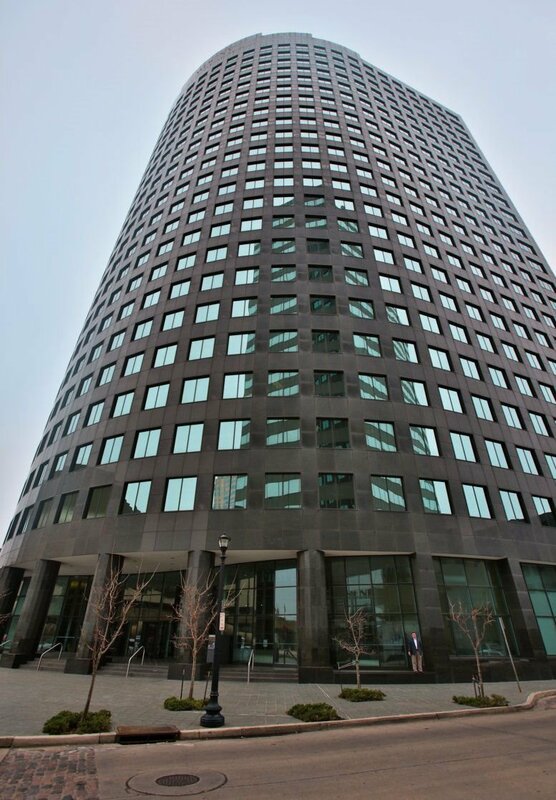 Examples include One Shell Square, World Trade Center New Orleans, Place St Charles, First Bank and Trust Tower, and the Energy Center. The second largest concentration of office space is in East Metairie, and other areas with significant amounts of office inventory include Orleans Parish, North Shore, Kenner, Elmwood, West Bank, and St Charles. The CBD has been in a unique situation after Katrina, since many office properties have been turned into residential units, causing an overall reduction of space of 20 percent. New construction is limited due to high costs and regulations, so a further reduction of office stock is expected, although this may be counterbalanced by the expansion of non-CBD sub-markets, most notably the East Metairie office hotspot and Elmwood. Low occupancy rates have created a very tight market except in Canal Street, Charles Avenue, and Lower Poydras (for Class A offices) and in North Causeway for Class B properties. Price-wise, the going rental rate for Class A space is under $20 / sq ft / year and only a dollar lower for Class B units. Rental rates are highest in North Shore and East Metairie, where they can exceed $21 / sq ft / year, and lowest in Kenner and West Bank (2017 data). Our goal is to provide your company with professional executive office suites and office space in New Orleans, Louisiana, suitable for your individual business needs. 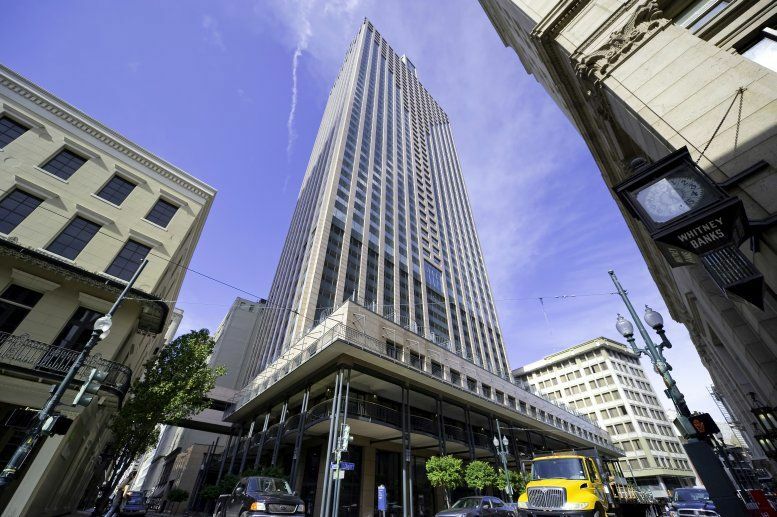 With a fantastic selection of amenities and support services available, and flexible rental agreements, you will be assured of an easy move to your new New Orleans office for lease. Most of the business centers listed on Offices.net come inclusive of a wide range of support services including dedicated front desk reception and security personnel, conference suites and lounge areas, dining facilities and break out areas. Additionally, much of the office space available offers fast internet and network wiring, onsite parking spaces, all-hours access and onsite IT support staff. 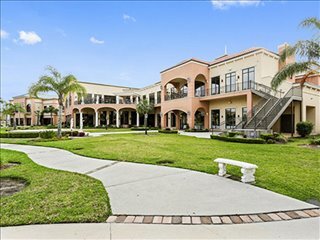 Simply click on any of the real estate listings to find an office for lease in New Orleans, LA. Louisiana's largest city has a distinct cultural heritage and a strategic location by the Mississippi River, which helped the city establish itself as a key trade and logistics hub in the early 19th century. Named after the Duke of Orleans, New Orleans was founded in 1718. Famous as the birthplace of jazz and the annual Mardi Gras, the historic city has a rich culture and attracts visitors from around the world. Key Industries: New Orleans port remains one of the world's busiest facilities of its kind and is fundamental to the city's economy, as it sustains more than 160,000 jobs across the state. The port also supports industries like shipping and distribution, as well as other related activities like shipbuilding, freight forwarding, export, manufacturing, petrochemicals, engineering, and oil and gas. In addition to New Orleans' industrial, manufacturing and shipping, tourism, culture and the arts are other important economic activities, since the celebration of renowned events like the Jazz & Heritage Festival, Mardi Gras, and international sports events generates millions of dollars in revenues. Moreover, New Orleans is one of the top convention and congress destinations in the south of the United States. Major Employers: Key employers include the Port of New Orleans, Northrop Grumman, Capital One, Lockheed Martin, Ochsner Health Systems, Jefferson Parish Government, the City of New Orleans, Dow Chemical, Acme Truck Line, and Jefferson School Board, all of which have more than 2,000 employees each. Labor Market: While the labor market was negatively affected by outward migration and population decreases following Hurricane Katrina that caused a 27 percent decline in employment, population and job gains have been steady in the past few years. New Orleans has been listed by Forbes as one of the top US cities for relocation and the local universities are a key source of talent in areas like business, management, biosciences, marketing, and finance. The Louisiana Workforce Commission can assist business owners with their recruiting needs. Business Incentives & Support: There have been several post-Katrina initiatives to revitalize the local business community, and these are already showing positive results. New Orleans, LA is hailed as one of the most powerful brain magnets in the US, and is among the most supportive US cities for start-ups. Companies operating in the creative and digital sectors benefit from some of the nation's most comprehensive incentives and tax credits, whose positive effects are evidenced in the trajectory of fast-growing companies like Open For Business, Search Influence, Solomon Group, and FSC Interactive. 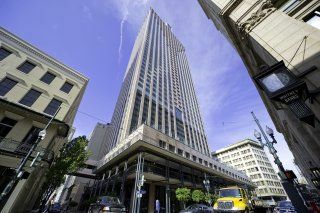 Choose one of the executive office spaces for lease in New Orleans listed on this page. The office space available on Offices.net is in an excellent location, and is available for instant lease in New Orleans on flexible terms. Whether you require shared office spaces, medical offices, commercial space, private offices, industrial space or New Orleans retail space for lease, we can help you.